Quick question: how many people in the United States are afflicted with some form of hearing loss? I’m inclined to bet, if I had to guess, that it was short of the correct answer of 48 million people. Let’s try one more. How many people in the US under the age of 65 are suffering from hearing loss? Most people are apt to underestimate this one as well. The correct answer, along with 9 other alarming facts, may change the way you think about hearing loss. People are often shocked by this number, and they should be—this is 20 percent of the entire US population! Expressed a different way, on average, one out of each five individuals you meet will have some measure of trouble hearing. Out of the 48 million people that have hearing loss in the US, it’s natural to presume that the vast majority are 65 years and older. But the truth is the opposite. For those suffering with hearing loss in the US, approximately 62 percent are younger than 65. In fact, 1 in 6 baby boomers (ages 41-59), 1 in 14 Generation Xers (ages 29-40), 1.4 million children (18 or younger), and 2-3 out of 1,000 infants have some form of hearing loss. 1.1 billion individuals worldwide are at risk for hearing loss caused by subjection to loud sounds. But what is regarded as loud? Subjection to any sound above 85 decibels, for an extensive amount of time, can potentially bring about irreversible hearing loss. To put that into perspective, a typical conversation is about 60 decibels and city traffic is around 85 decibels. These sounds most likely won’t harm your hearing. Motorcycles, however, can reach 100 decibels, power saws can achieve 110 decibels, and a loud rock concert can achieve 115 decibels. Young adults also are inclined to listen to their iPods or MP3 players at around 100 decibels or higher. As reported by the National Institute on Deafness and Other Communication Disorders (NIDCD), 15 percent of Americans (26 million people) between the ages of 20 and 69 suffer from hearing loss owing to exposure to loud sounds at work or during recreation activities. So while growing old and genetics can trigger hearing loss in older adults, noise-induced hearing loss is just as, if not more, hazardous. No two people have precisely the equivalent hearing loss: we all hear an assortment of sounds and frequencies in a somewhat distinct way. That’s why it’s crucial to get your hearing analyzed by a seasoned hearing care professional. Without specialized testing, any hearing aids or amplification devices you buy will most likely not amplify the proper frequencies. Five to seven years is a long time to have to struggle with your hearing loss. Fewer than 16 percent of family doctors test for hearing loss. Hearing loss is so gradual that it’s difficult to perceive. Hearing loss is often partial, meaning some sounds can be heard normally, creating the impression of healthy hearing. 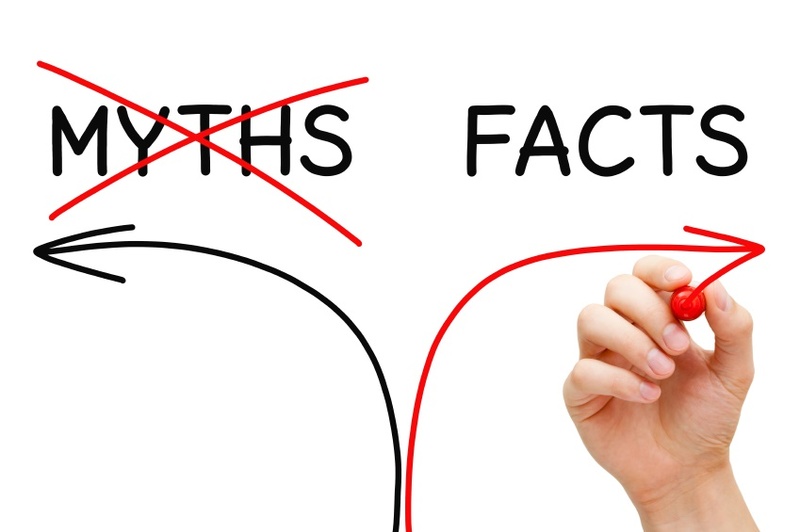 People believe that hearing aids don’t work, which takes us to the next fact. For every five people who could live better with hearing aids, only one will actually wear them. The principal reason for the disparity is the incorrect assumption that hearing aids don’t work. Maybe this was true 10 to 15 years ago, but certainly not today. Likewise, the latest MarkeTrak consumer satisfaction survey discovered that, for patients with hearing aids four years old or less, 78.6% were satisfied with their hearing aid effectiveness. Here’s a little-known fact: certain medications can damage the ear, resulting in hearing loss, ringing in the ear, or balance problems. These medications are considered ototoxic. In fact, there are more than 200 identified ototoxic medications. For more information on the specific medications, visit the American Speech-Language-Hearing Association. In one of the most extensive studies ever conducted on hearing disorders linked to musicians, researchers found that musicians are 57 percent more likely to suffer from tinnitus—continuous ringing in the ears—as a result of their jobs. If you’re a musician, or if you participate in live concerts, protecting your ears is crucial. Ask us about custom musicians earplugs that ensure both safe listening and preserved sound quality. Which of the 10 facts was most surprising to you? Tell us in a comment.